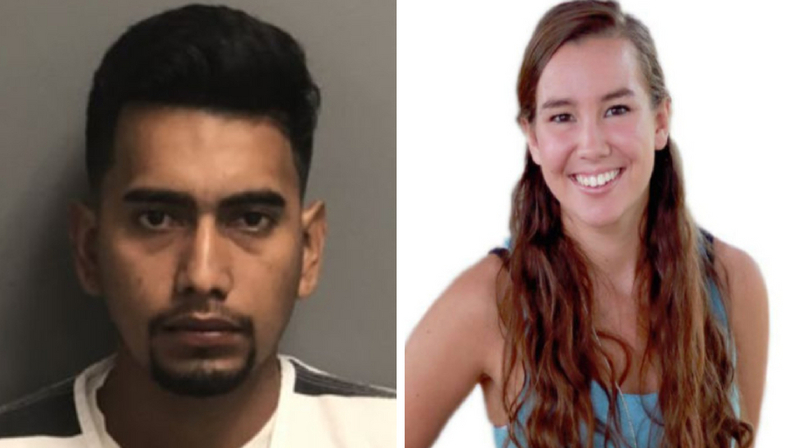 Politicians and pundits joined family and friends in reacting to the news that authorities believed they found the remains of 20-year-old Mollie Tibbets and had arrested her suspected killer. As CrimeOnline previously reported, a 24-year-old man was arrested on suspicion of first-degree murder shortly after reports that the missing University of Iowa student’s body was likely recovered. Suspect Cristhian Bahena Rivera was also identified as an undocumented immigrant, a point many prominent conservatives — including Vice President Mike Pence — seized upon shortly after the announcement was made. Pence posted a pair of tweets, which in part acknowledged law enforcement for their role in identifying and arresting a suspect. “We commend the swift action by local, state, & federal investigators working in Iowa in apprehending an illegal immigrant, who’s now charged with first-degree murder,” the vice president wrote. Reports indicate Rivera had been living near Brooklyn, Iowa, for a number of years after allegedly entering the country illegally from his native Mexico. Court documents claim he had seen Tibbets jogging in the area and began following her. He allegedly told investigators that he “blacked out” before committing the crime and hiding the victim’s body in a wooded area. Pence’s statement continued by pledging the guilty party will be held to account. Tibbets’ boyfriend is the last person confirmed to have seen her alive just before he left town for work on July 16.